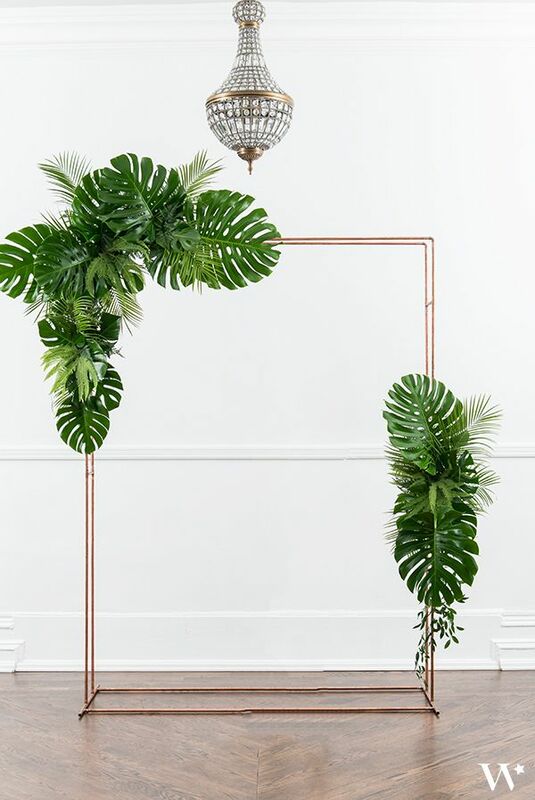 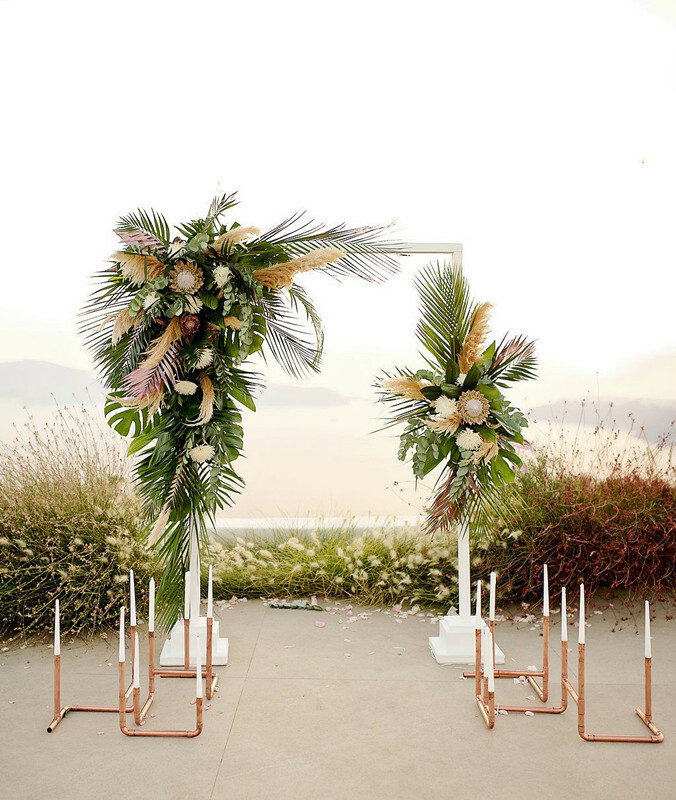 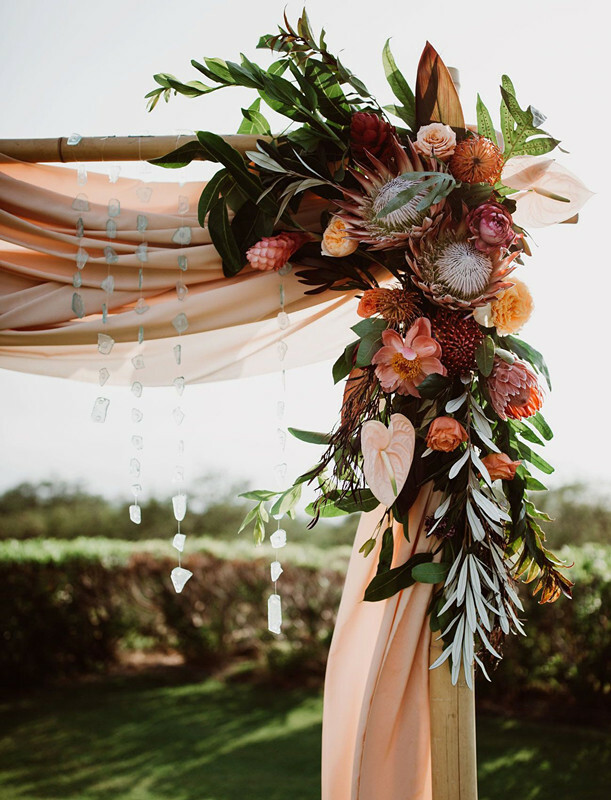 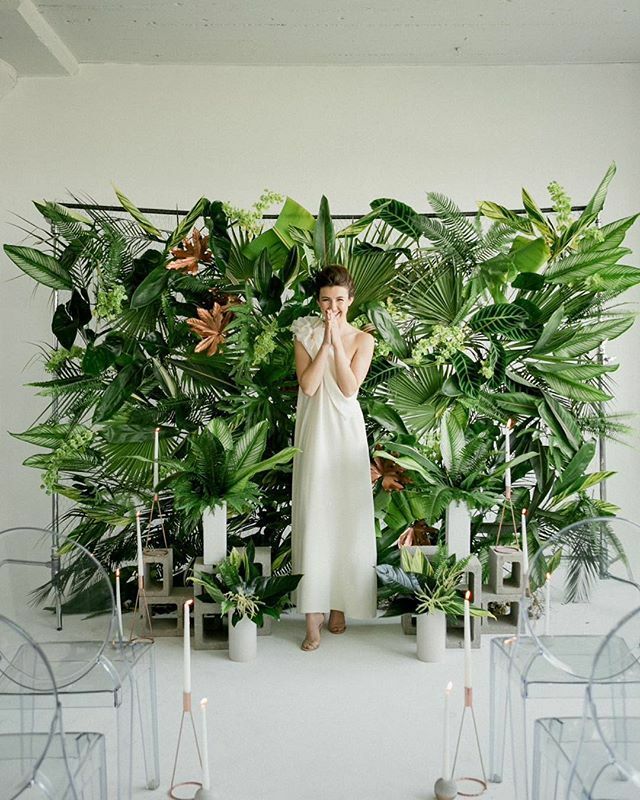 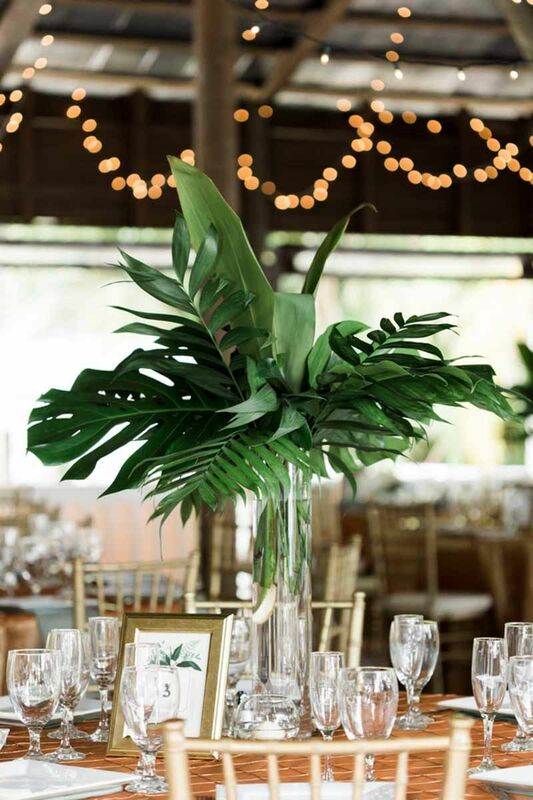 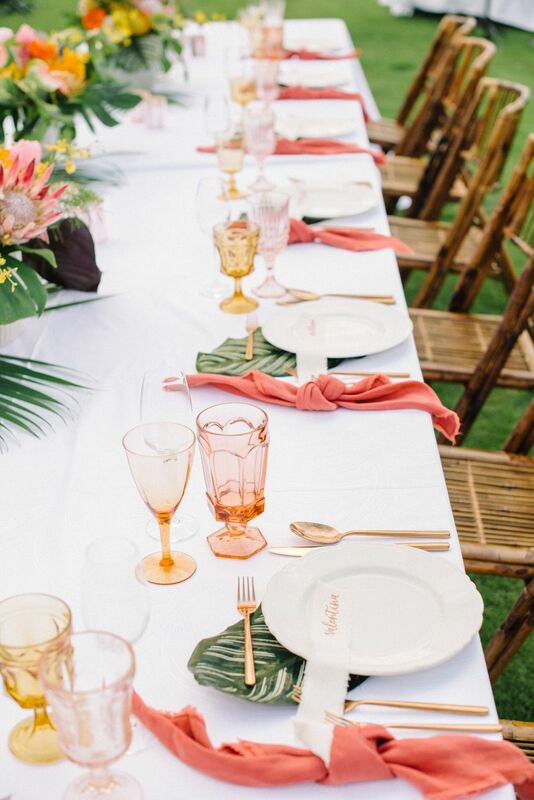 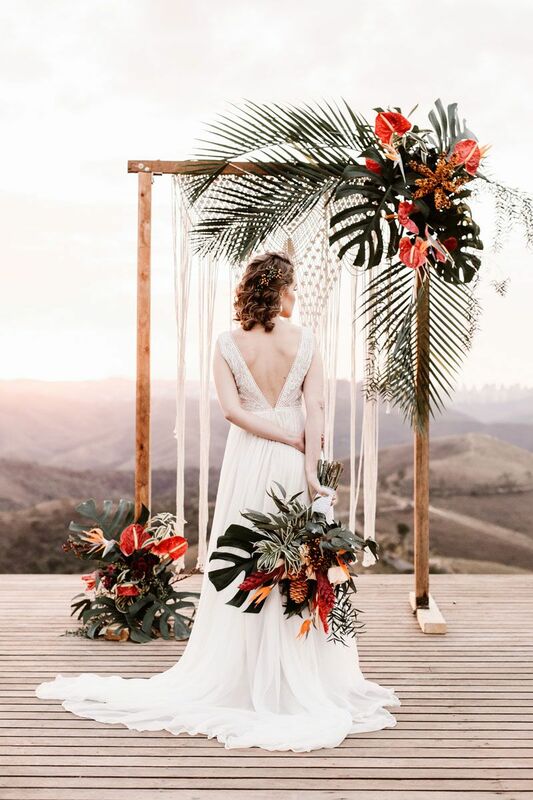 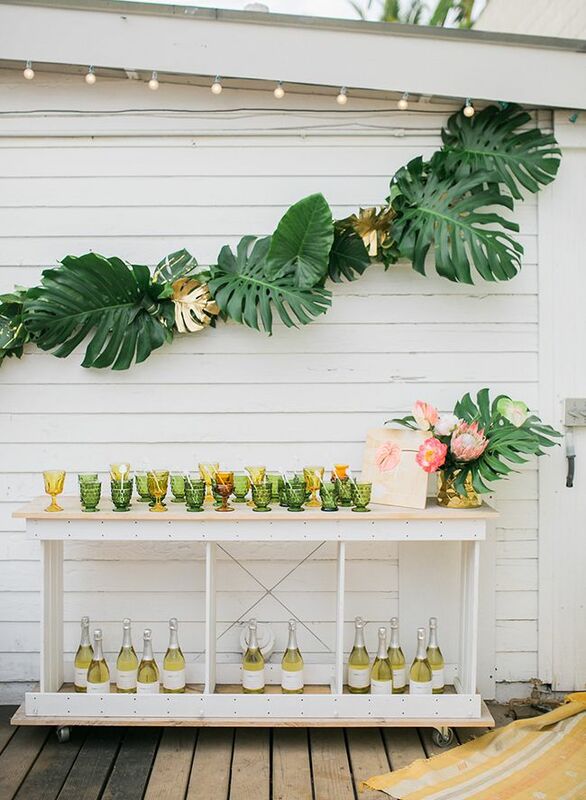 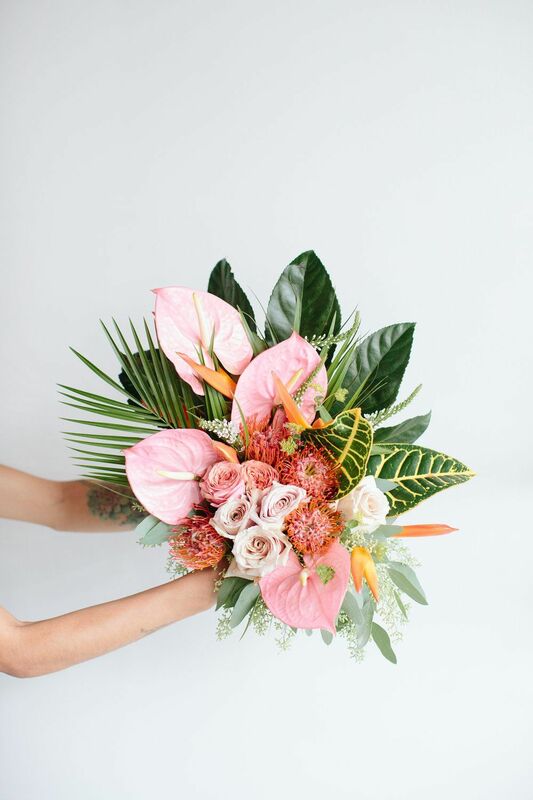 Coral honey hues mingle with deep green monstera leaves in this wedding decor that does not quit! 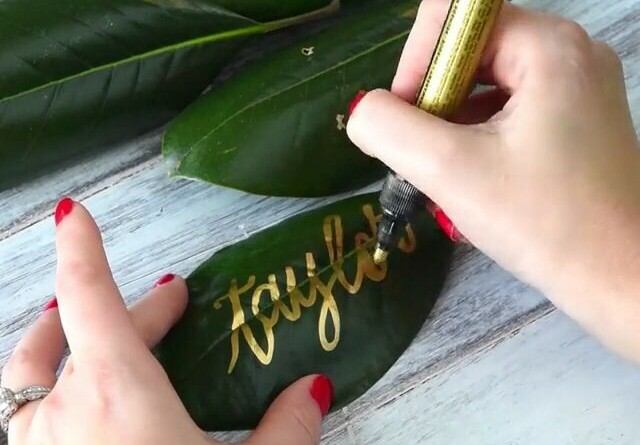 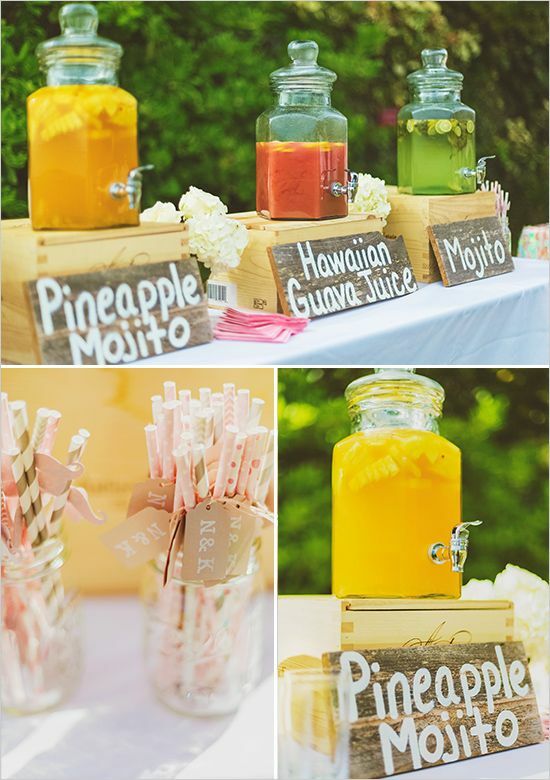 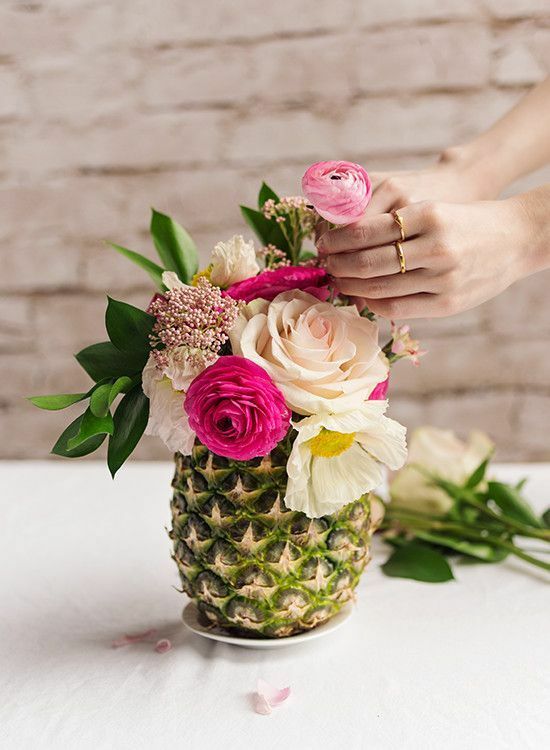 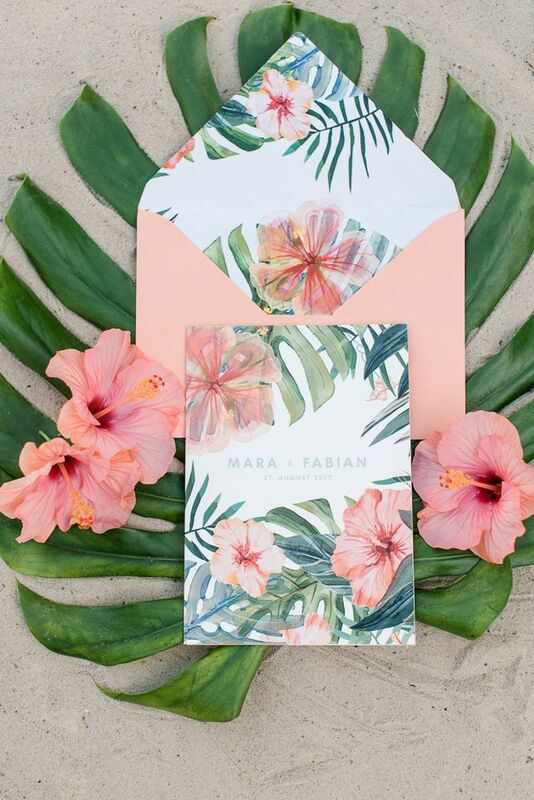 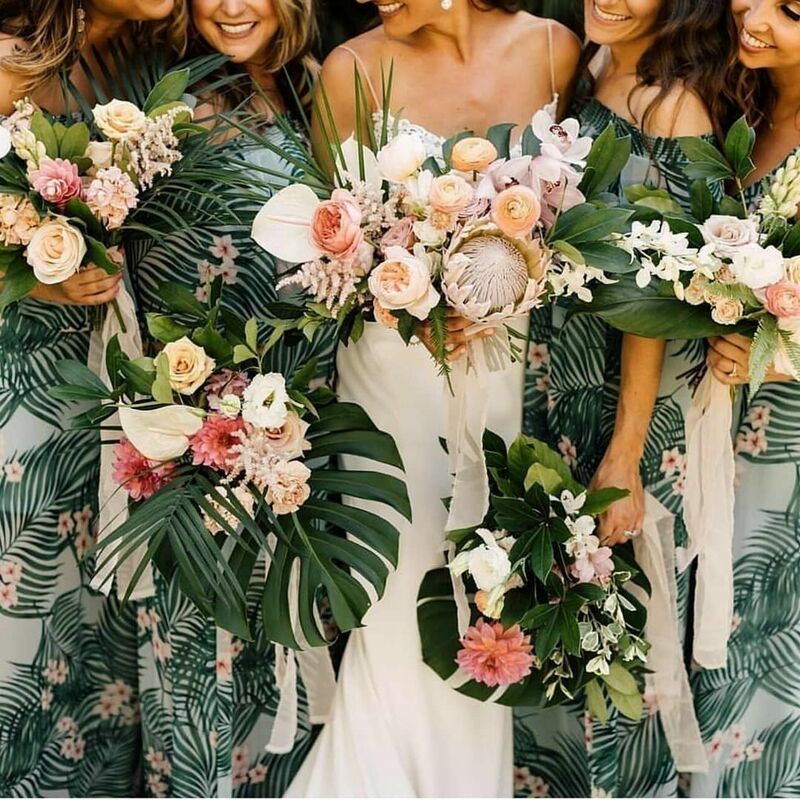 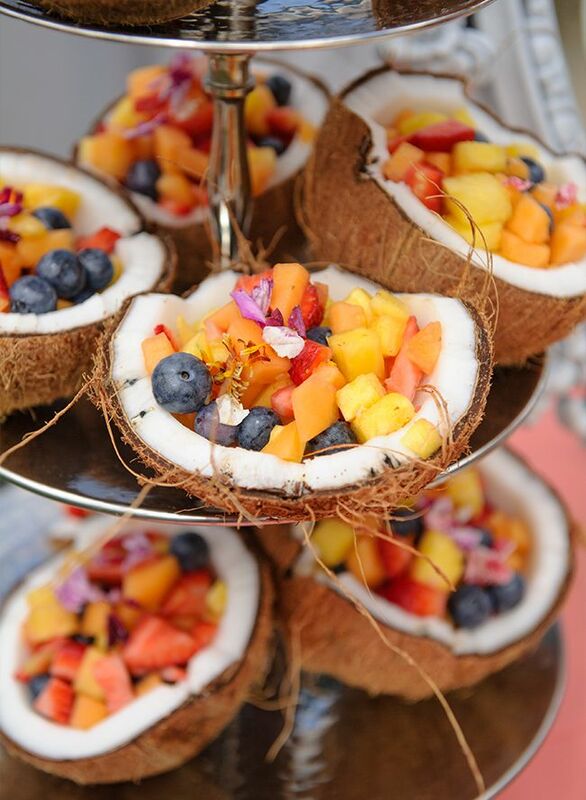 The seriously fun tropical wedding theme is a huge trend for weddings at the moment – find out how to pull it off for your Big Day next summer here! 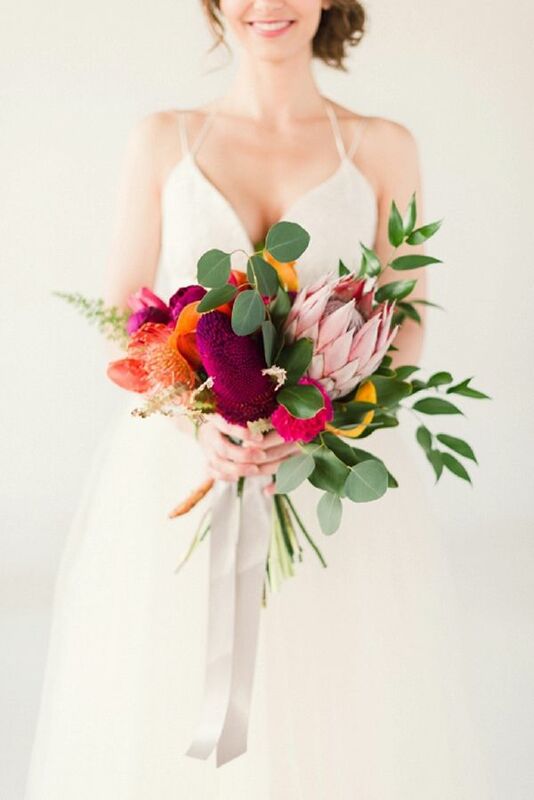 Which flowers would you choose for your wedding bouquet? 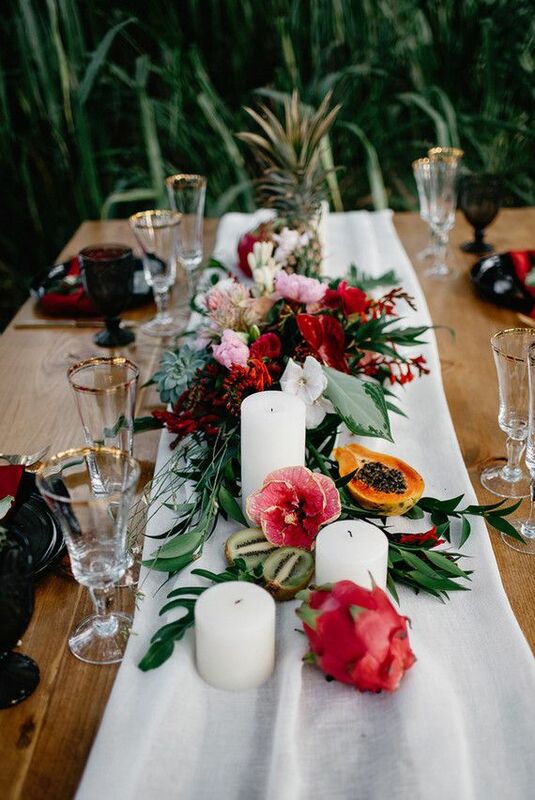 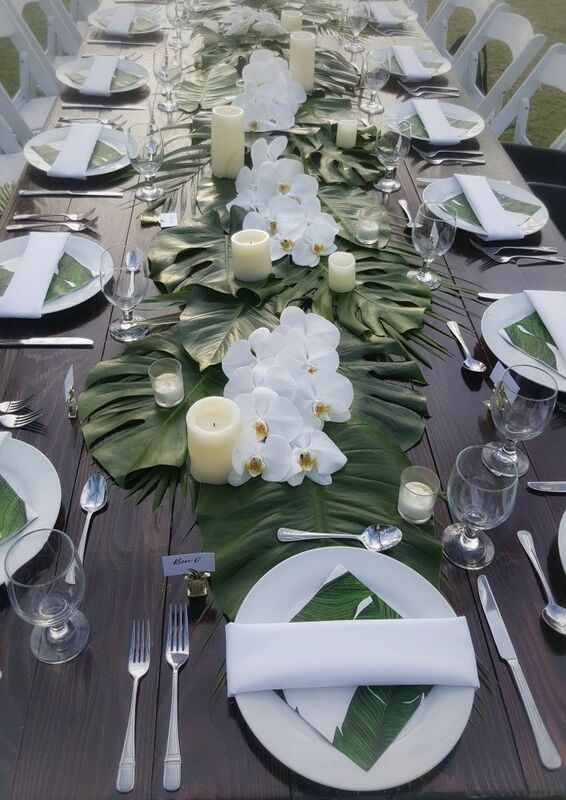 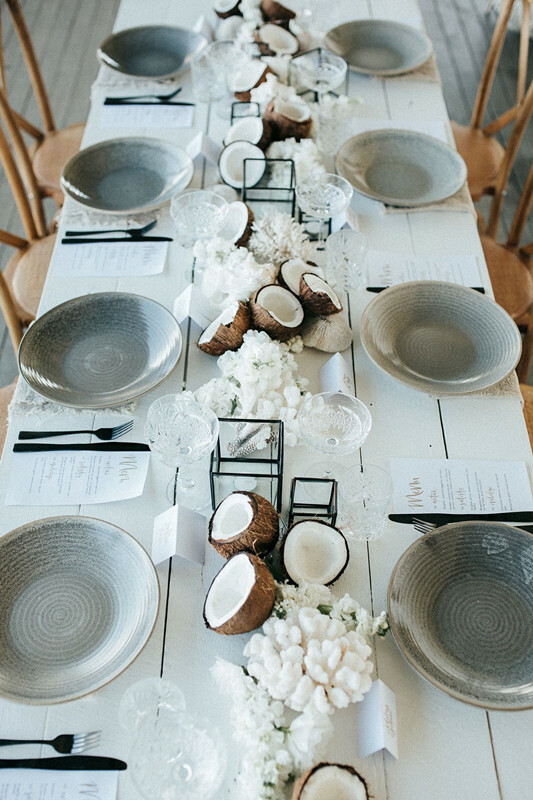 We love how moody this tropical table setting looks!